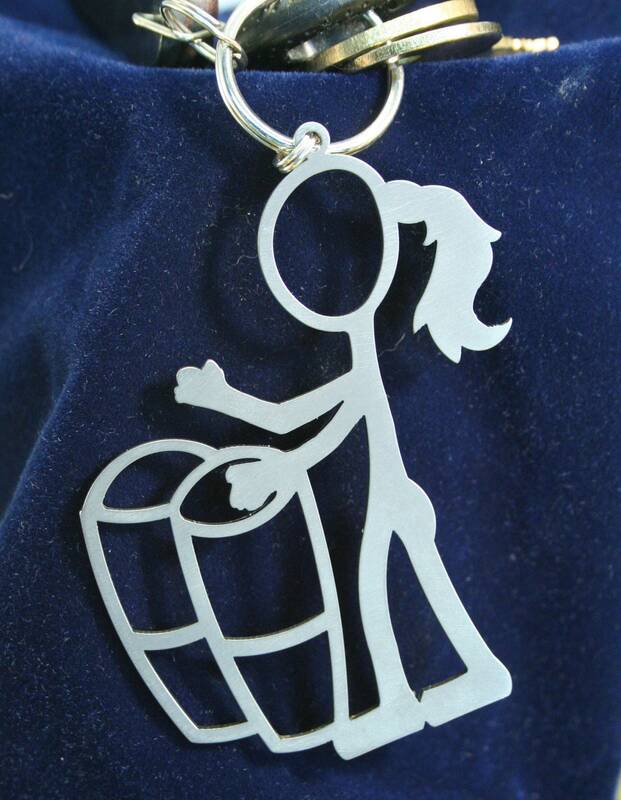 Whimsical Female stick figure playing Bongo Drums . 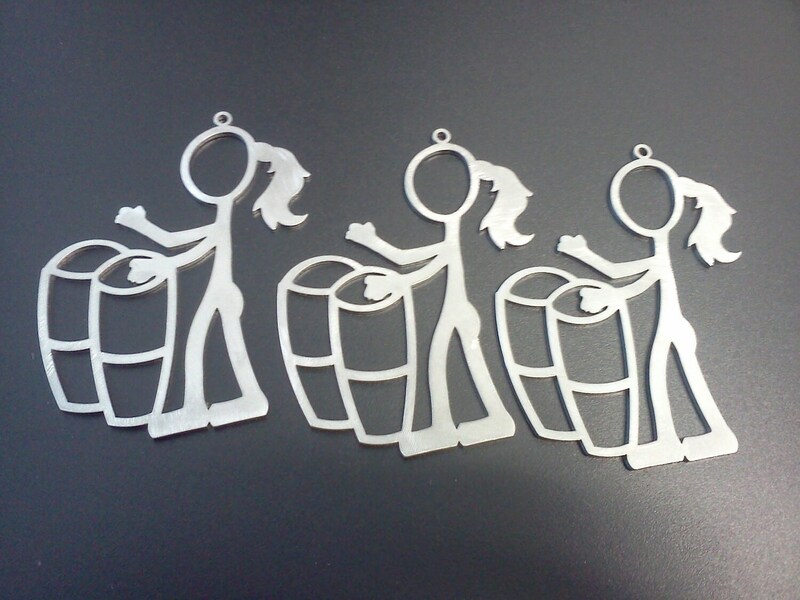 Made from 18 gauge stainless steel with a semi - tumbled matte finish. Comes with a nickle plated 6mm split ring. 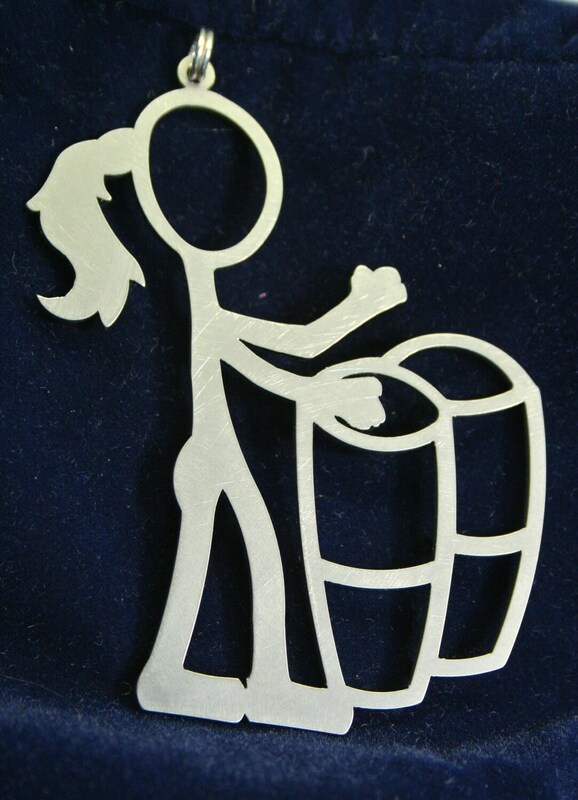 Measures approximately 2-1/4" wide by 3" tall.